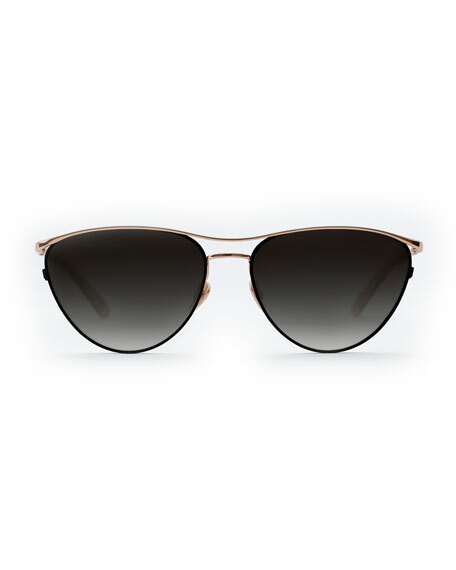 Jimmy Choo nods to mod style with these thick-rimmed sunglasses. The best part? The cat-eye frame will flatter all face shapes. 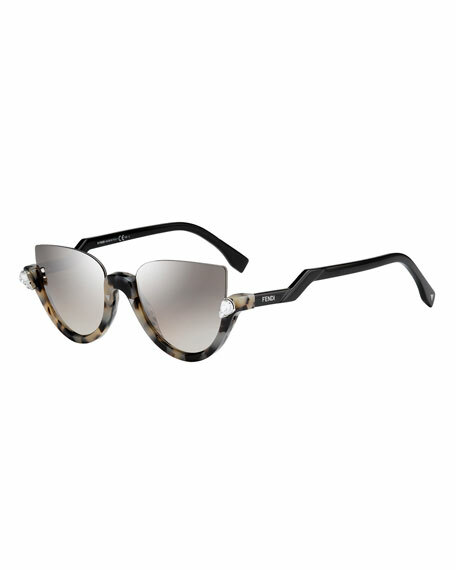 Jimmy Choo acetate sunglasses with cat-eye shape. 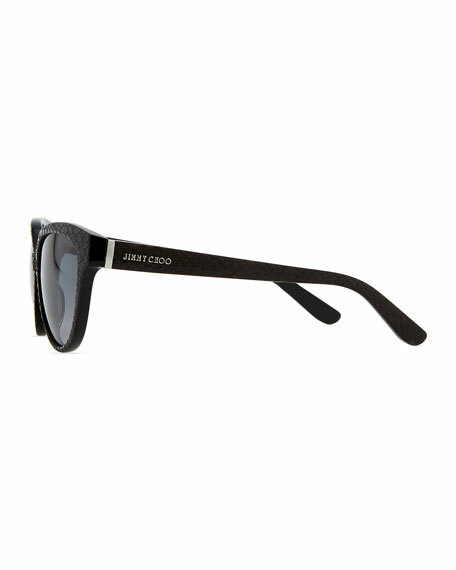 "Odetts" sunglasses are made in Italy. 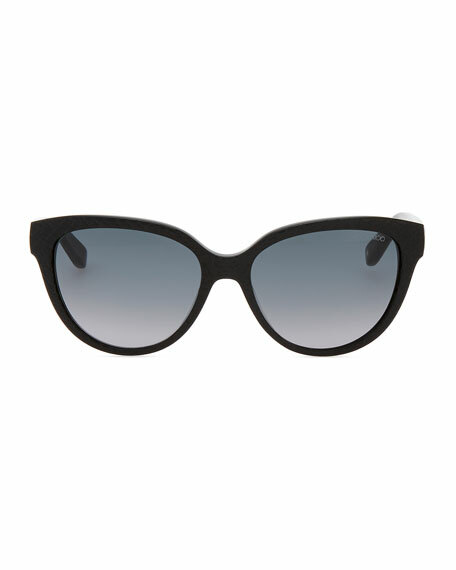 Bari Lynn cat-eye sunglasses in aluminum and plastic. Rainbow Swarovski crystal trim at cutout frame front. Round, gradient lenses. Capped earpieces. Polyurethane case. Made in USA of imported material. 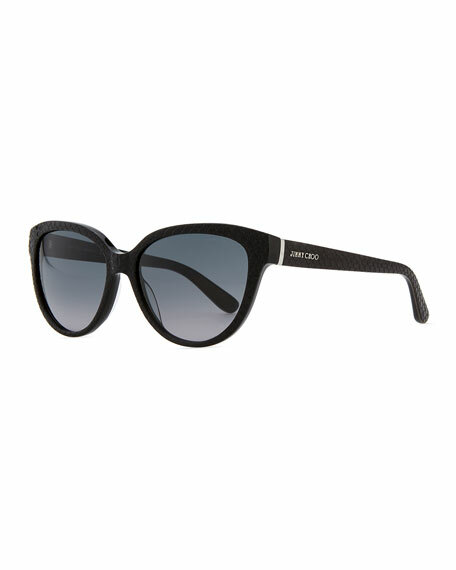 Fendi "Blink" cat-eye sunglasses. Plastic frames with rhinestone-trim ends. Square lenses with peaked corners. Raw-edge brow. Logo script at temples. Stepped arms. 100% UVA/UVB protection. Made in Italy. 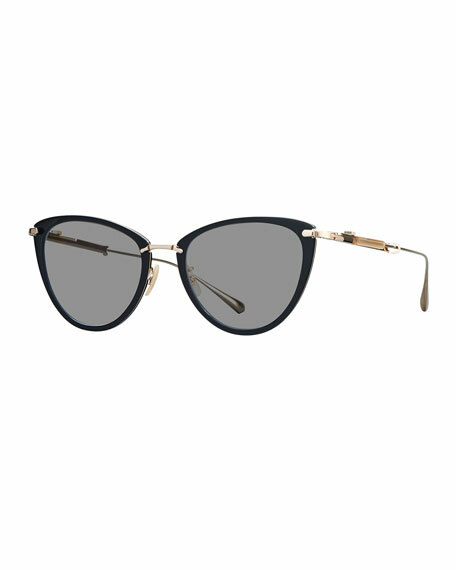 KREWE "Cohn" sunglasses in titanium and acetate. Lens/bridge/temple (in mm): 56-15-145. 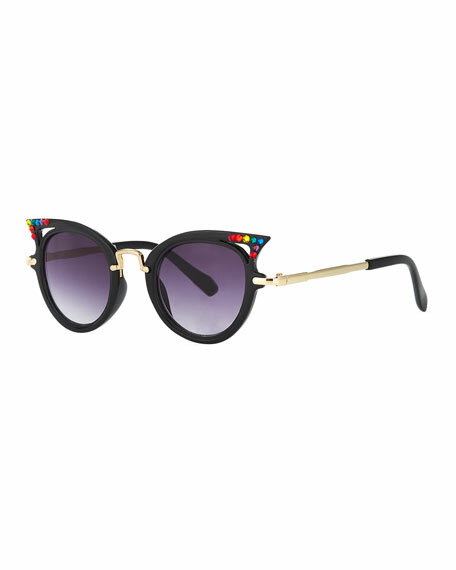 Gradient cat-eye lenses. Adjustable nose pads. Capped temple tips. Can be fitted with prescription lenses. 100% UVA/UVB protection. Imported.